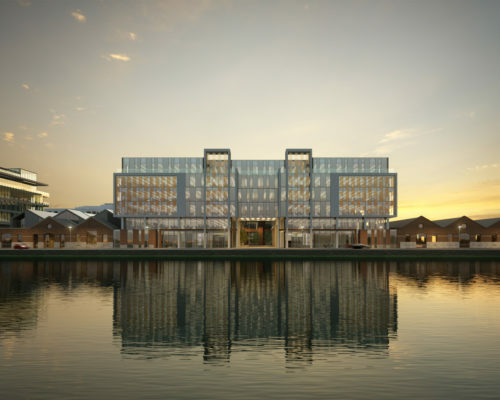 Seán O’Neill of Park Developments & Paul Quinn of BKD Architects feature in a promotional video describing the new €100m Reflector landmark office and residential development on the Canal Dock. The developments will include a six storey LEED Gold V4 office building of 125,000 sq.ft. with floor plates of 23,000 sq. ft. finished to the highest standard. The development will also incorporate 40 exclusive 1-3 bedroom luxury A3 BER Certification apartments and a single 3,500 sq.ft retail/restaurant unit all of which is due for completion in 2018.